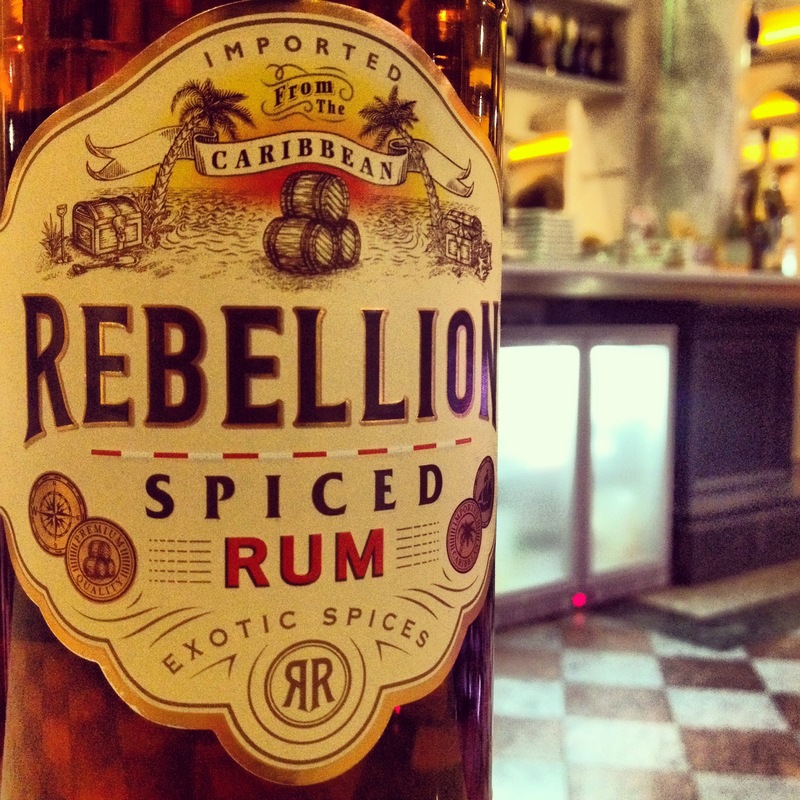 Rebellion Spiced is a blend of Caribbean rums (i’ve been reliably informed that they are located very close to Grenada) with the added fresh spices of cloves, bitter orange, ginger, cardamom, cinnamon, nutmeg, pepper and vanilla, and a name that is a nod towards the pirate punishment of marooning. Legend has it that following a rebellion, the notorious Edward Teach (or Blackbeard as he was more commonly known), was rumoured to have marooned 15 of his men on Dead Man’s Chest with only a cutlass and a bottle of rum. It’s quite fitting then that on every bottle of Rebellion Spiced, there is a signed label from Edward Teach saying that the bottle consists of the spices mentioned above. Fragrant nose of vanilla with hints of cinnamon slowly arising. Smooth on the palate with the spice developing over the short offering. The cinnamon is more apparent near the end and gives a slight warmth. And how about the rest of the range? Lots of aromas of soft caramel on the nose with an incredibly soft palate that grows into a subtle spice. Sweet notes of toffee linger and dries out the experience, although lingers. Faint caramel and toffee aromas blend on the nose with a slight dark fudge following. Salt flavours come through mixed in with the fudge on the palate. Light with a thin texture that lingers with a slight warmth on the finish. 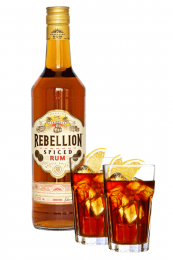 Pour Rebellion Spiced over ice and top with Cola and garnish with a slice of lemon. Easy, simple, well-balanced. 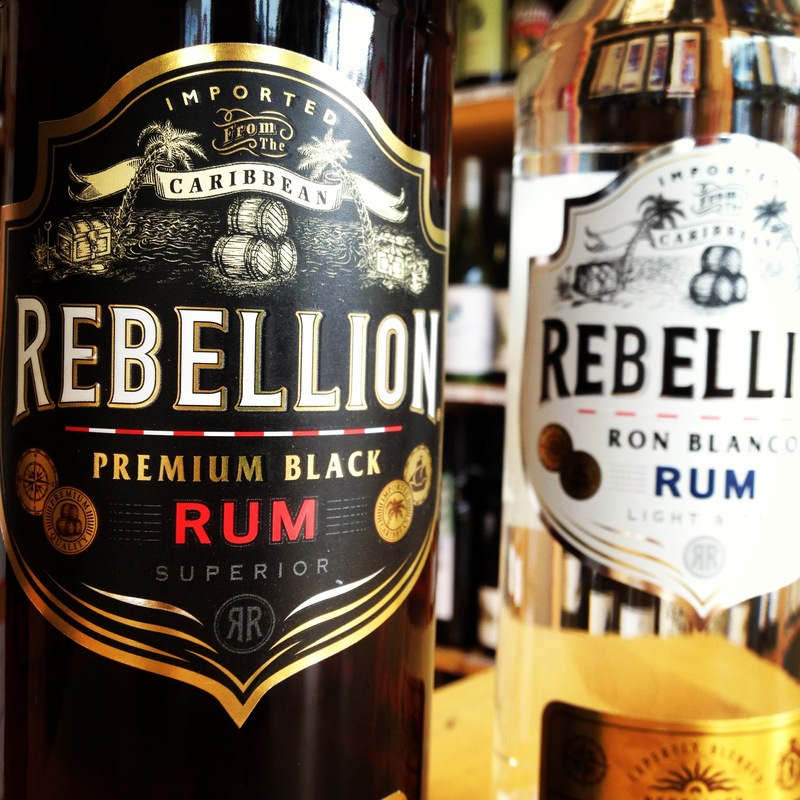 If you ever try, you can also be in the knowledge that in 2012, Rebellion Spiced Rum, Blanco and Premium Black Rums were each awarded a Silver Medal at the International Wine and Spirit Competition. Need i say more! I have had many Captain Morgan spiced rum and soda in my day, so maybe I should give this a shot and see how it compares. I always love trying a new drink! you will be surprised what kind of recipes you will come up with. just when you decide to start an exercise program to lose some weight.